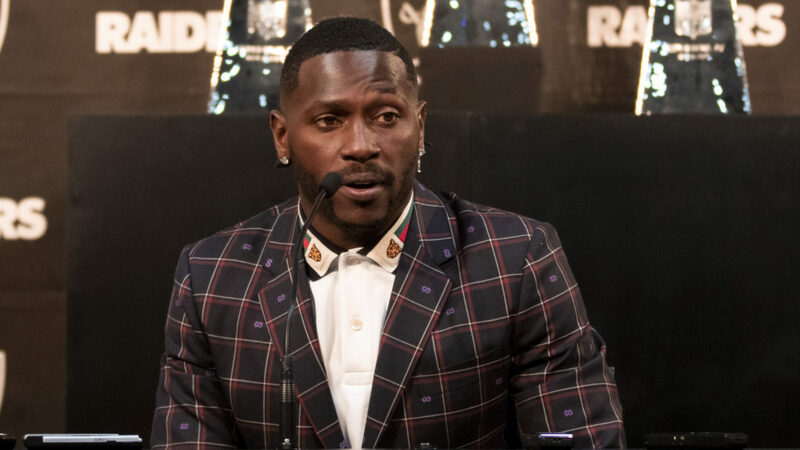 ALAMEDA, Calif. – The Oakland Raiders have acquired WR Antonio Brown via a trade with the Pittsburgh Steelers, the club announced Wednesday. As part of the trade terms, Oakland will send Pittsburgh their 2019 third-round (66th overall) and fifth-round selection (141st overall) in return for Brown. 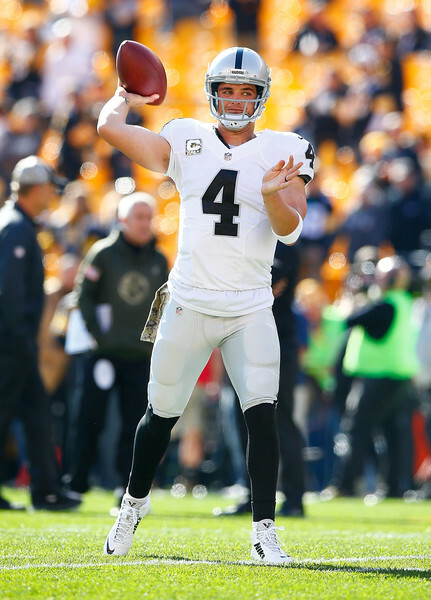 Originally a sixth-round selection (195th overall) by the Pittsburgh Steelers in the 2010 NFL Draft, Brown joins the Raiders as a four-time first-team All-Pro selection and seven-time Pro Bowler after building one of the most decorated resumes in NFL history through his first nine years (2010-18). In 130 contests with 103 starts, his 837 receptions, 11,207 yards and 74 touchdown receptions rank fourth among all active players. In postseason action, Brown has played in 10 contests and tallied 51 receptions for 837 yards and four touchdowns. 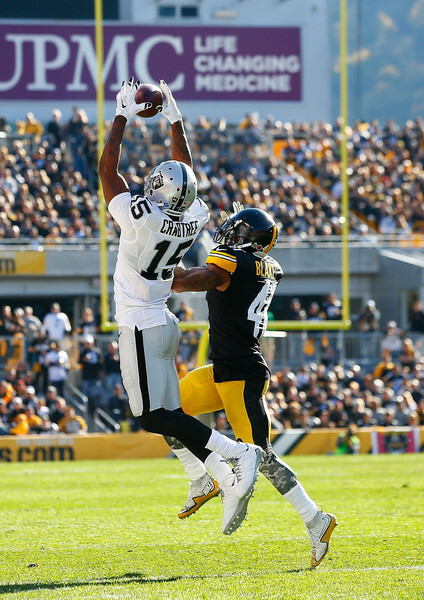 Since entering the league in 2010, Brown has totaled seven 1,000-yard seasons with the Steelers, and leads the NFL in both yards and receptions during that span, while his touchdown total ranks second and his four seasons of double-digit receiving scores are tied for second. Over the last six seasons (2013-18), Brown has compiled 686 receptions and accumulated 9,145 yards receiving, the most by a player in NFL history in any six-year span. Last season, Brown hauled in 104 passes for 1,297 yards and led the league in touchdown receptions for the first time with a career high and Steelers single-season record 15 receiving scores. With his 100-plus receptions, Brown became the first player in NFL history to amass six consecutive 100-catch seasons, while he also compiled 1,200 yards receiving in each of those seasons. Over the course of the season, Brown surpassed 10,000 career receiving yards in his 116th career regular season game, tying Torry Holt for the second-fewest games in league history to reach the milestone, and later surpassed the 11,000-yard barrier in his 129th game. Only Calvin Johnson reached 11,000 yards in fewer games (127). Moreover, he reached 800 career receptions, joining Torry Holt and Marvin Harrison as the only players in NFL history to reach the milestone in a player’s first nine seasons, while setting an NFL record for the fewest games (126) to the 800-reception mark. Brown also led the NFL in 20-plus-yard touchdown receptions, tallying 10, the most in a single season since Terrell Owens’ 10 in 2007. 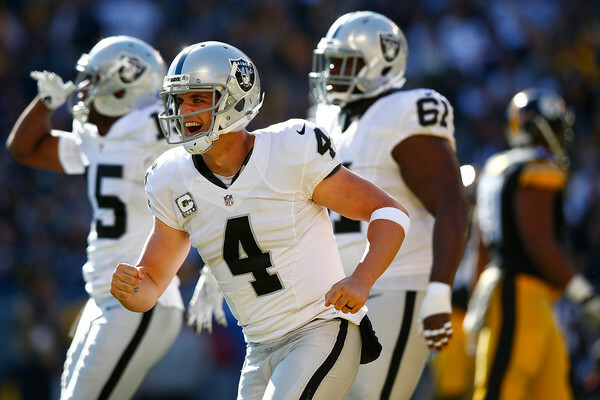 Brown tallied four first-team All-Pro selections from 2014-17 and was named to the PFWA’s All-NFL and All-AFC Teams in each of those seasons, while notching three AFC Offensive Player of the Month Awards. 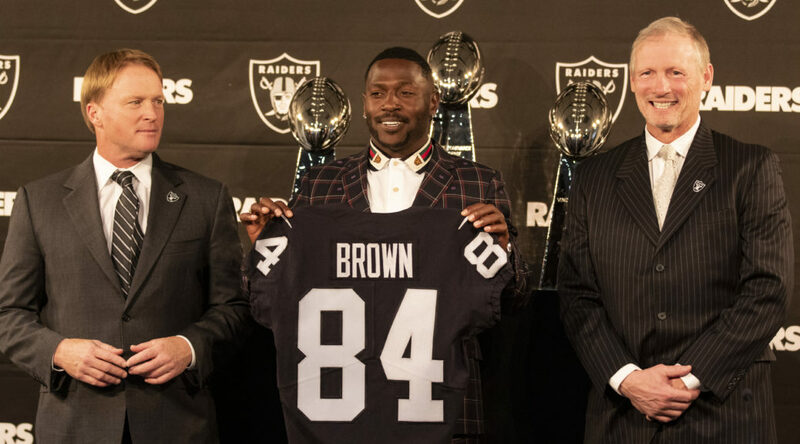 From 2013-17, Brown tallied an NFL-record 582 receptions during the five-year span, while also setting NFL records for most receptions (622) and receiving yards (8,281) by a player in their first career 100 regular season contests. Brown became the first Steeler ever to record 1,000 yards and at least 10 receiving touchdowns in three consecutive seasons (2014-16), and also joined Johnson as the only player in NFL history to notch 1,600 yards in back-to-back years (2014-15). Those campaigns were highlighted by a league-leading 1,698 yards in 2014 and a 2015 season that saw him post the fourth-most single-season receiving yardage (1,834) ever, as well as tying for the second-most single-season reception total (136). In addition to setting yet another NFL-record with 375 receptions from 2013-15, Brown’s two-year total of 262 receptions from 2014-15 also tabbed him as the first player in league annals to haul in at least 125 passes in consecutive seasons. Brown earned his first Pro Bowl honor in 2011, as he became the first player in NFL history to record at least 1,000 receiving yards and at least 1,000 return yards in a single season. 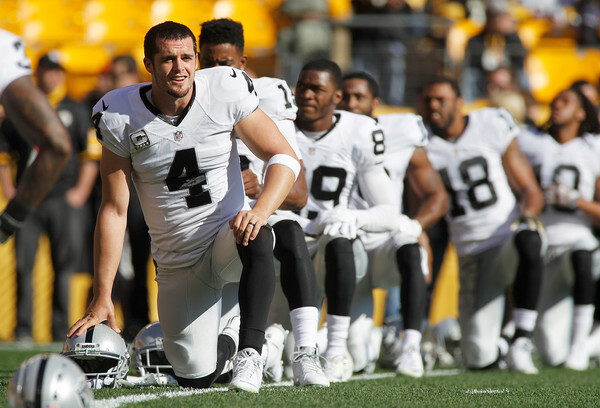 Over his career, he has returned 186 career punts for 1,759 yards, including four returned for touchdowns, in addition to returning 47 kickoffs for 1,173 yards and another score. Brown is one of just three players in NFL history to total at least 70 career touchdown receptions and five return touchdowns. A native of Miami, Fla., Brown attended Central Michigan (2007-09) and appeared in 41 contests for the Chippewas, finishing as the school’s all-time leader in receptions (305), second in touchdown receptions (22) and third in receiving yards (3,199). He also added 2,612 kickoff return yards, including two for touchdowns, adding 822 punt return yards and an additional three scores en route to being named MAC Special Teams Player of the Year in consecutive seasons (2008-09). Brown was the only player in school history with two 1,000-yard and 100-catch seasons.